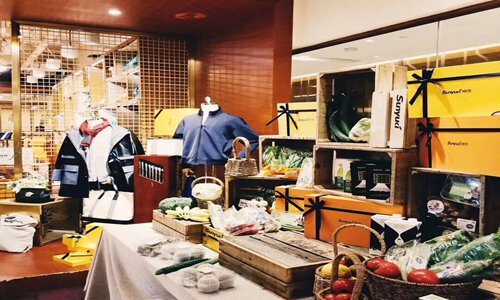 Luxury brand sales on e-commerce platforms in China witnessed more growth compared with that of physical stores last year. Meanwhile, a new generation of shoppers is returning to the domestic market to purchase high-end goods, experts said. According to the China Luxury E-Commerce Whitepaper 2017, online luxury sales in China increased by 12 percent year-on-year in 2016, compared with a mere 2 percent increase in the offline market that same year. The whitepaper, co-released on Friday by luxury e-tailer Secoo Holding Co, China's social media giant Tencent Holdings and global consulting firm Deloitte, found that online purchases should have accounted for 8 percent of total luxury sales by the end of 2017. The paper also said that figure will increase to 9 percent in 2018 and then continue to grow each year, reaching 13 percent by the end of 2021. In terms of consumers, the paper found that the post-1990s Chinese generation is becoming a powerful group in luxury consumption, among whom some 42 percent tend to shop online. Taking advantage of this generation's rising disposable incomes and the booming digital trend amid the decreasing power of traditional retail - although luxury sales in physical stores are still dominant - many e-commerce platforms are targeting China's luxury market, the second-largest after the US. In June, Chinese e-commerce giant JD.com Inc (JD) invested $397 million in a partnership with London-based luxury retailer Farfetch, which operates an e-commerce website that unites various independent fashion boutiques, in a move to realize JD's "major luxury push," as described by Richard Liu Qiangdong, JD's chairman and CEO. Besides that move, the company itself also launched a new online shopping platform called "Toplife" in October to give high-end global brands a comprehensive way to reach Chinese customers by using its self-operated nationwide logistics network. As the first e-commerce luxury goods platform listed on the NASDAQ Stock Market, Secoo, an integrated online and offline shopping platform that provides luxury brand products and services, has grown rapidly to become Asia's largest online luxury transaction platform in terms of gross merchandise volume (GMV), according to California-headquartered business consulting firm Frost & Sullivan. During the three months leading up to September 30, Secoo's GMV reached $209.6 million, representing an increase of 65.4 percent compared with that reached in the third quarter of 2016. Meanwhile, its total net revenue recorded $147.6 million, up 44.2 percent year-on-year, according to the company's third-quarter financial report. By the end of September, Secoo had 300,000 active customers, with the amount of orders surpassing 3.72 million and the average price for an order standing at 3,500 yuan ($528.7). "Secoo is already tapping this growing demand for diverse offerings in an increasingly digital environment with its integrated online and offline strategy, including our physical offline 'experience centers,' where customers can indulge in services including yoga, photography and tea drinking, as well as personalized shopping at our boutique hotel partners," Eric Chan, CEO of Secoo, said during the company's annual gala held in Shanghai on Friday. "The supplementary relations between online and offline sales tend to be more outstanding in China, where demand far exceeds supply," said Anne Michaut, affiliate professor at the HEC Paris business school, during an exclusive interview with the Global Times on November 30. "The function of the physical store has transformed from being a sales base to a shopping experience provider… Potential customers are likely to purchase luxury goods after browsing online or vice versa," Michaut noted. The future development of the luxury industry relies on the integration of different sales channels, the fulfillment of which is inseparable from some tools that promote both sales types, she said. Fu Yi, a salesclerk working at a Louis Vuitton (LV) store in Paris, told the Global Times on Saturday that the company provides each shop assistant with an iPhone through which they can communicate with customers about the latest products and after-sales services. Also, Moet Hennessey Louis Vuitton (LVMH), the European multinational luxury goods conglomerate whose subsidiaries include such world-leading premium brands as LV and Celine, has also developed many iPhone apps to enhance the shopping experience. "We can quickly grasp the newest product information, realize self-training and test things using those apps to improve sales abilities," Fu noted. The whitepaper on luxury goods also pointed out that more Chinese shoppers have returned to the domestic market to purchase luxury brands over the last two years. During the 2011-15 period, the transaction of luxury goods from Chinese consumers mainly took place abroad, with only about 25 percent accounting for domestic consumption. But that trend began to reverse in 2016, the report said, which is mainly attributable to price adjustments of luxury goods worldwide, the Chinese yuan's devaluation and relevant taxation strategies. Liu Yang, a fan of Chanel bags, shared her shopping experience with the Global Times on Saturday, saying that "the price gap between domestic and abroad purchases of Chanel bags has been dwindling over recent years." "If the fees for daigou [individual shopping agents] are added [to the total], it becomes more expensive to purchase abroad than it does domestically," she said, noting she usually buys bags from the French brand at its exclusive stores in Beijing and Shanghai. "Domestic boutiques can also use some strategies to attract customers. For example, if I live in Beijing and shop in local stores, salesclerks will start recognizing me and recommending suitable styles for me," Michaut said, noting such experience is dignified. The luxury industry has witnessed fast growth in China over recent years thanks to high demand. 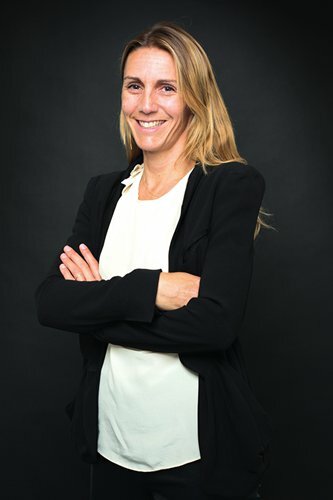 Global Times reporter Tu Lei (GT) recently held an exclusive interview with HEC Paris professor Anne Michaut (Michaut) to address such luxury-related topics as firm management, discounts and online sales channels. GT: As shown in the financial reports of many luxury operators, their sales have witnessed obvious recovery this year. What do you think of that? Michaut: The whole luxury industry is continuously growing yet in certain years, such as last year, its growth rate declined. For the moment, the super-growing period when some companies even witnessed double-digit increases is gone, with recent growth staying steady. Meanwhile, business performance at this phase mainly depends on a company's management, including talent attraction, which is the most important factor for luxury groups, as well as the development of tools used to guide and assist management. GT: What's your opinion on discounts of luxury goods? Do discounts have an impact on a brand's image? Michaut: As far as I'm concerned, luxury brands should not have discounts. From the view of marketing, discounts of any luxury brand will lower brand value. And for the luxury good itself, discount sales seem very silly because these brands usually burn tens of millions of dollars to build customer trust and their high-end status, which is just aimed at the premium when the goods are sold. GT: Chanel's CEO has recently said that the brand's bags and watches will not be sold online for the moment. Some luxury brands reject the online channel, so what's your comment on that? Michaut: I think online and offline sales are mutually promoted, but we should admit that the physical store is better for cultivating customers' feelings and understanding toward products. On another note, Chanel has a concept that I heard of earlier from a director of its digital sales department: A quick click of the mouse can get people what they want, which is too easy. But if they need to wait for a period, they will obtain more pleasure when the product arrives in their hands, and they will cherish it more. Of course, the prerequisite is that the brand has a high enough status so that customers are willing to wait.